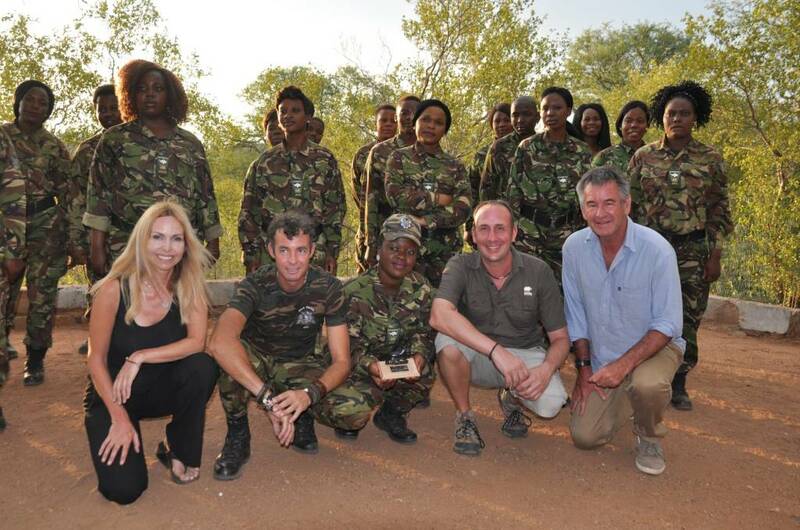 TV presenters Anneka Svenska and Nigel Marven have just returned from a very special trip filming a new conservation firm on the all-female super anti-poaching unit The Black Mambas for Charity Helping Rhinos. CEO Simon Jones of Helping Rhinos and top wildlife cameraman Michael Hutchinson accompanied them on the trip where they walked in the shoes of these amazing ladies and found out why there has been a 75% reduction in poaching in the Balule Reserve since these ladies have been in action. Founded in 2013 by Transfrontier Africa by Craig Spencer, The Mambas are taking the world by storm. The Black Mambas will be visiting the UK on the 22nd February for 7 days to talk to the public, to attend a wonderful Helping Rhinos event and also for a screening of the film shot out in Africa by Image Impact Films. To find out more about contacting the Black Mambas during their 22nd Feb trip, please contact Helping Rhinos or fill in the contact form on this website.